Ahh...Nuts! proudly enhances your graduation, engagement or wedding parties by providing your special event with high quality nuts, candies, and fine chocolates. Your guests will always remember your personalized label celebrating the name, date, and special details to be cherished in an album. 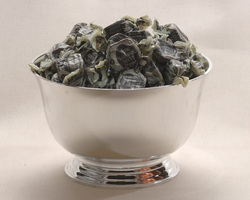 Individually sized portions, with any quantity, or by bulk (discounts available). 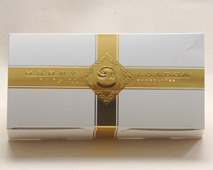 Harry London Chocolates and Fannie Mae have served America for years with high quality cocoa and excellent packaging of freshness that delights the connoisseur of sweets. We also have Kosher selected chocolates and a special line of Sugar Free Chocolates for special events at senior parties, assisted living centers or wedding anniversaries. If you're having a private event, fundraiser or corporate party, ask us to create the right sized bag or box for you! Choose from our standard gifts or allow us to create gifts that are perfect for your occasion. We are a full service gift shop providing you with the flexibility and creativity to give great gifts. Our typical gift baskets range from $25 on up and we use high quality products and containers. Choose from a large variety of boxes, tins, willow baskets, faux leathertotes, and much more! US locations. We accept all major credit cards. or value displays and promotions for your happy occasion.